This easy access walk is both wheelchair and pushchair friendly, and it gives you an incredible introduction to West Coast wetlands. It takes approximately twenty minutes to complete the circuit, and there are a number of seats to rest on, and interesting interpretation boards along the way. Turn of State Highway 6 at Whataroa and head down Whataroa Flat Road for approximately nine kilometres. Look for the White Heron Tours Jetty sign which directs you to turn onto a gravel road. Drive over the bridge and follow the Waitangitaona River to the car park at the White Heron Tours Jetty. Walk across the road and you will find the gate which is the beginning of the walk. The Waitangitaona River flows from its catchment area south of Whataroa Village before turning northwest to reach the Tasman Sea. 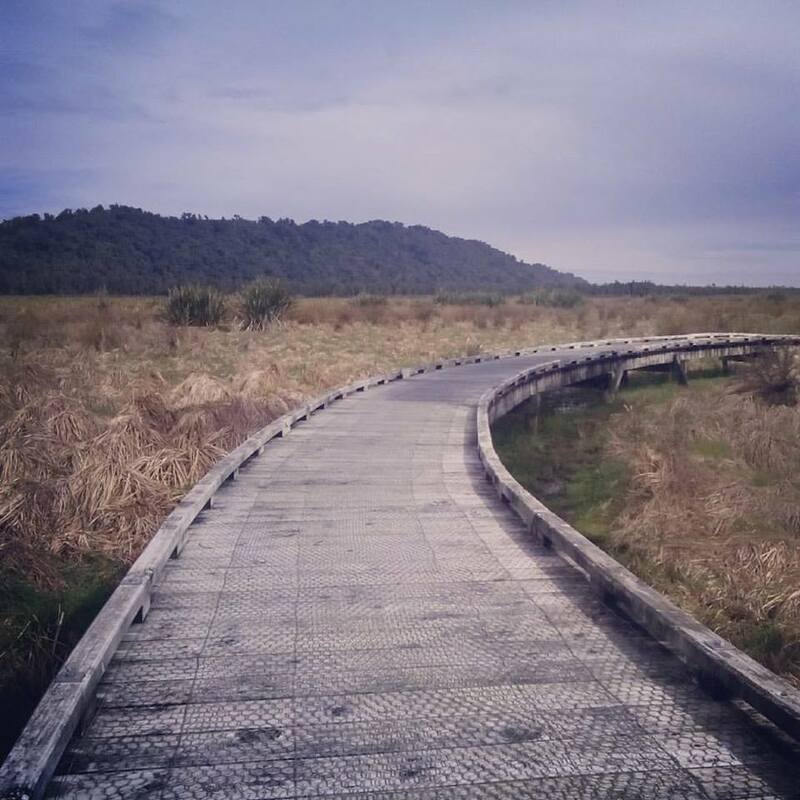 This trail gives you access to a pristine wetland area that is between the Waitangitaona and Waitangiroto Rivers. The forest in the area was once cleared for timber and farmland. At the start of the track, you will walk through regenerating kahikatea trees which are slowly reclaiming the area. The well formed path becomes an elevated boardwalk, so you can keep your feet dry as you walk into the wide expanse of wetland. At your first stop, you can learn about the features of the flax and tussock wetland, and capture spectacular views of the Southern Alps, Ka Tiritiri o te Moana. As you continue on, there are interpretation boards where you can learn about local history, the bird life in the area, and the fish and insects that inhabit the wetland. On a clear day the park benches are perfect for picnics, reading, or just watching the birds. 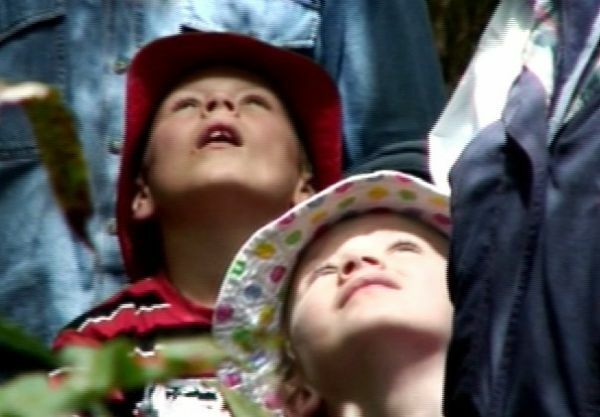 This track was proudly built by the Whataroa Community Association in collaboration with the Department of Conservation. The Waitangitaona has always been well loved by the locals, and it is an excellent river for fishing. 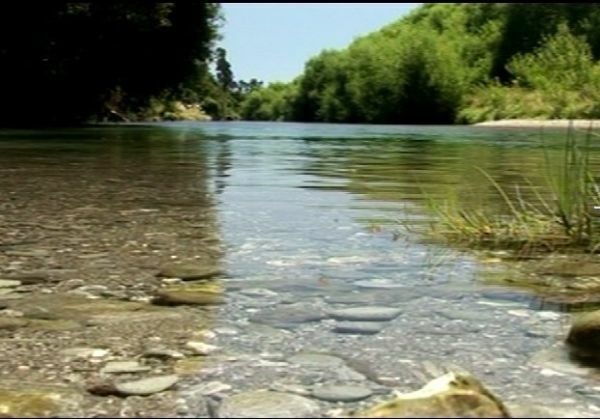 From the 1st October to the 30th of April, you can also try trout fishing on the Waitangitoana River. There are a number of brown trout in the 2 - 5lb range which would make a good meal. However, it is a fast flowing river, with a bed of rock and gravel, there are no crystal clear pools and the fish are wary; so you are in for a challenge with sweet rewards. The team from the award winning White Heron Sanctuary Tours can also take you by jet boat and a private board walk, right into the heart of the Waitangiroto Nature Reserve. Here you will see the magnificent kotuku (White Heron) colony, the only nesting area used by these beautiful birds in New Zealand. The tour leaves from the White Heron Tours office in Whataroa. It takes approximately two and a half to three hours, and is in operation from late October through to March every year.